In ceramics, joie de vivre is usually associated with the Mediterranean – the tin-glazed pottery of Spain or Vallauris. But there’s something about tin-glaze itself that brings it out, even in the north. One of its great exponents was Stig Lindberg (1916-1982), the prolific Swedish designer who spent most of his career at the Gustavsberg pottery factory. Lindberg studied at the Swedish State School of Arts, Crafts and Design in Stockholm, with the intention of becoming a painter. He started at Gustavsberg in 1937 and became their art director in 1949. He remained with the company until 1980, when he retired to Italy to set up his own studio. 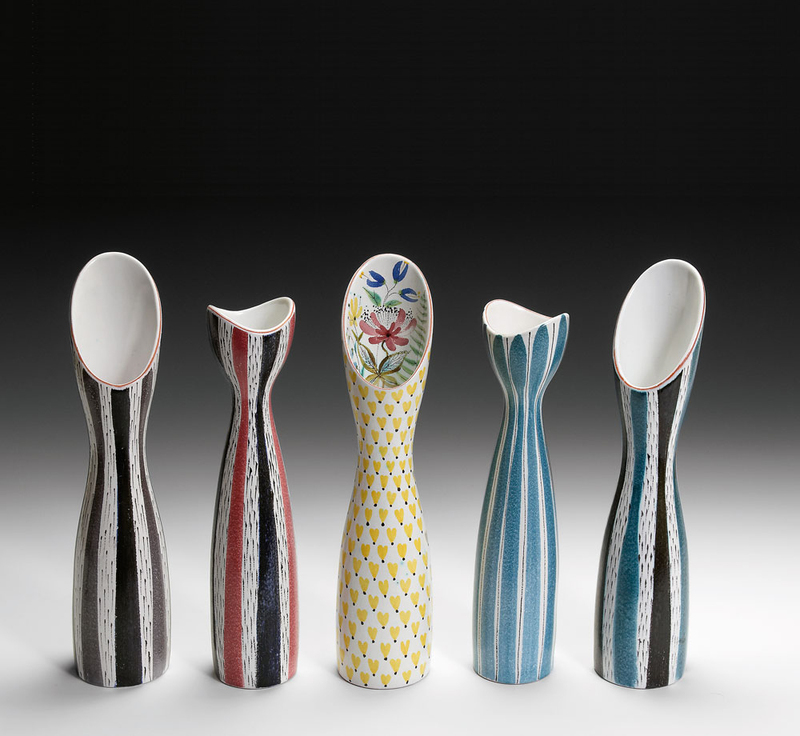 Much of his work was in faience, painted tin-glaze, in which he made a modernist re-interpretation of an old method of decoration, like these vases from the 1950s (above). His faience designs were painted directly in-glaze, an expensive method of decoration also used, in a similar medium, by the Poole Pottery in Dorset. In the 1950s, many of Lindberg’s forms were derived from biomorphism, a movement in painting and sculpture that evoked living forms but was generally non-representational. 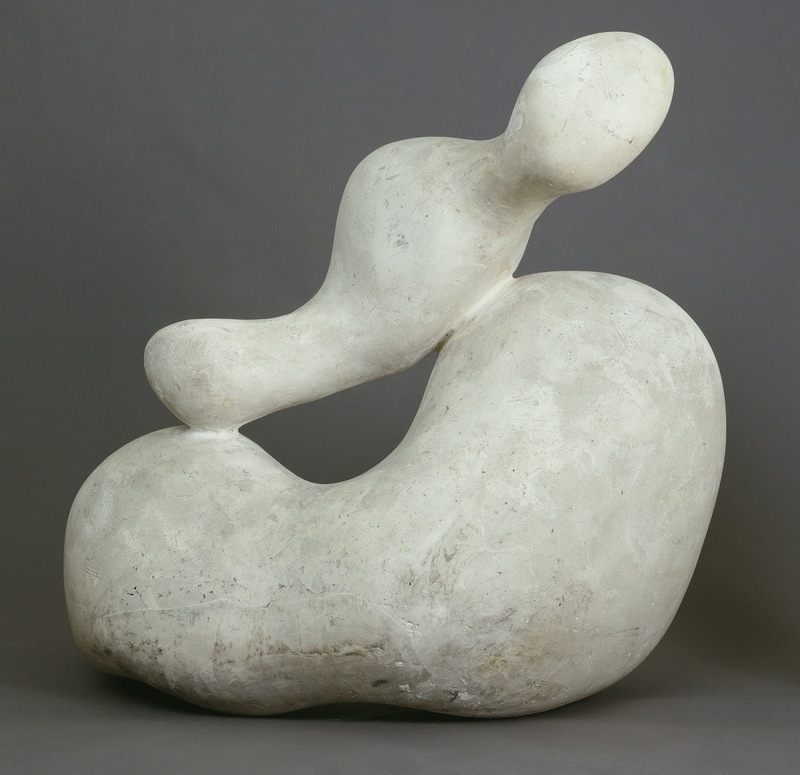 The most consistent exponent of biomorphism was Hans Arp (below). Many of Miró’s forms were biomorphic too. 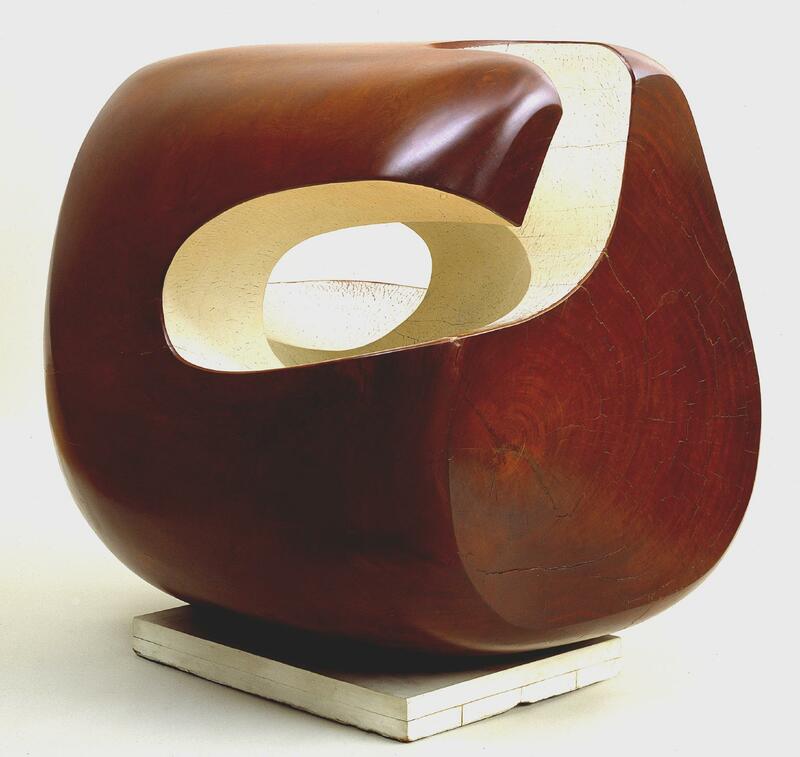 Henry Moore and Barbara Hepworth produced biomorphic sculptures – Moore’s representational, Hepworth’s (below) abstract. 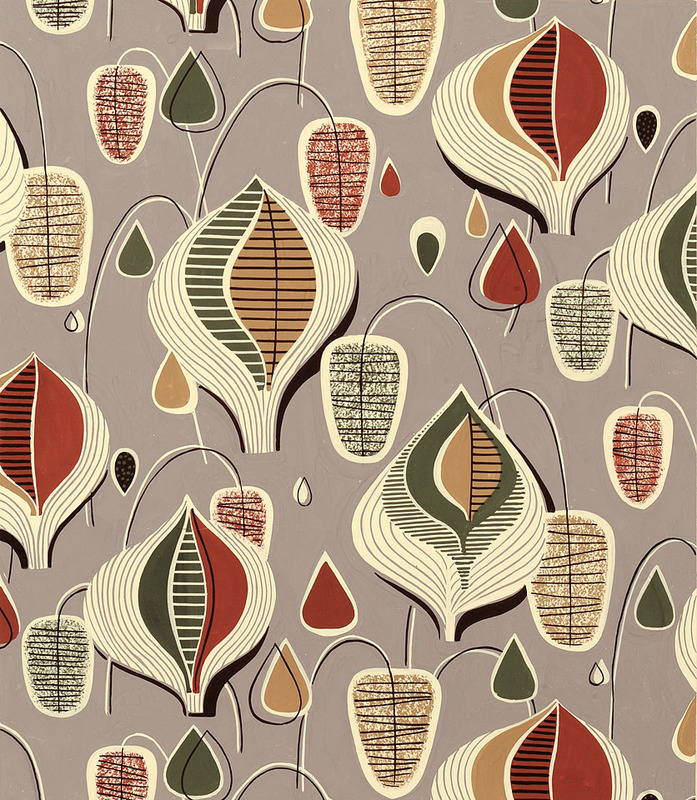 In the post-war period biomorphism heavily influenced the applied arts. 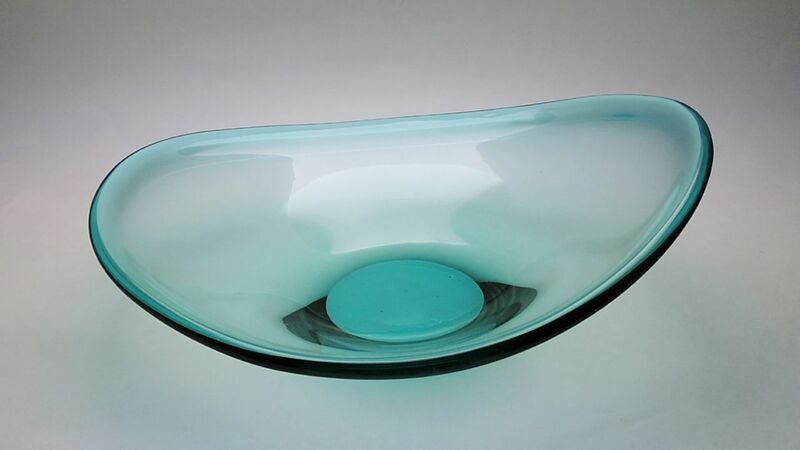 Because of the diffusion of biomorphism into interior design it became emblematic of modernism. 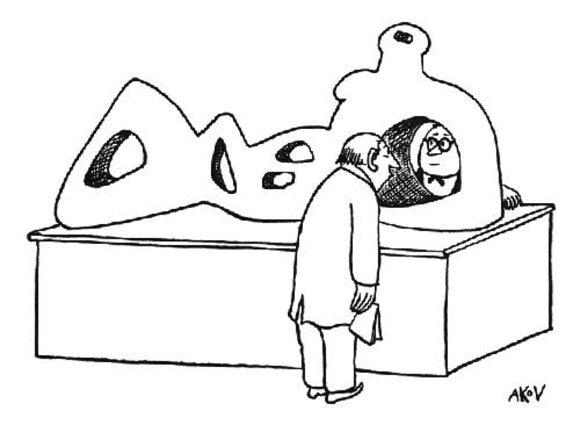 There were cartoons of puzzled museum visitors looking through holes in biomorphic sculptures – Anatol Kovarsky’s classic (below) was published in The New Yorker in 1947.